Everything is, apparently, coming up Shadowman. 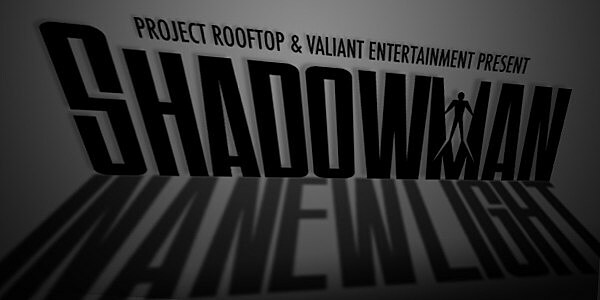 Not only is Valiant Entertainment relaunching the 1990s superhero in a new series by Patrick Zircher and Justin Jordan next month, but the character is also the star of the latest Project: Rooftop redesign contest. Originally appearing in 1992, Shadowman managed 43 issues during its original run, an additional 20 issues during a late '90s revival, and multiple video-game spin-offs. Described as "a dark vigilante who strives to banish the sinister forces that try to creep their way into out reality," Shadowman is these days considered one of the main figures in the Valiant Comics universe - as well as the fifth to get his own series as part of the company's current relaunch. Zircher, who's co-writing the new series in addition to illustrating it, will be one of the judges of the new Project: Rooftop contest. "We're excited to partner with a prestigious comic company like Valiant and give our readers and our artists something special for this redesign contest," said Project: Rooftop co-founder Chris Arrant. "On behalf of Dean [Trippe, co-founder], the P:R contributors and our readers, we're excited to see how artists will reinterpret the Shadowman character." Of course, if it's a contest, that means there are prizes; Valiant is offering rare variants of Shadowman #1 and #2 (by Bill Sienkiewicz and Dave Johnson) as prizes, as well as the complete run of Valiant relaunch books for the runner-up. Entries must be submitted by November 30, with guidelines and more details available at the Project: Rooftop site.